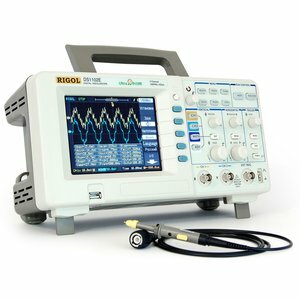 Rigol DS 1102E is a 100MHz Dual Channel digital oscilloscope. 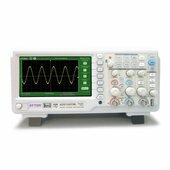 With Equivalent-time Sample Rate of 25 GSa/s, this inexpensive oscilloscope offers excellent quality at truly remarkable price! As a USB oscilloscope, DS1052E can store images to external data sources and print to PictBridge compatible printers. Download RIGOL DS1102E Data Sheet.